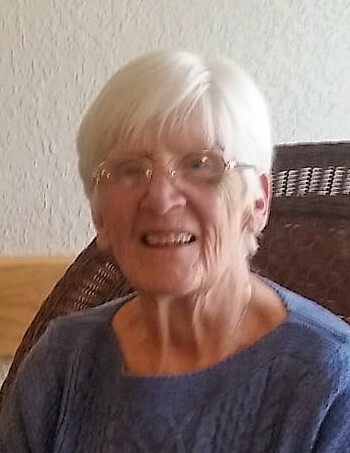 Geneva “Tootie” (Stutz) Klingfuss, age 87 of St. Paul Park, passed away January 14, 2019. Memorial service will be 1 pm, Sunday, January 20, 2019 at All Saint’s Lutheran Church, 8100 Belden Blvd. S, Cottage Grove. Visitation will be 3-7 pm, Saturday, January 19, 2019 at Kok Funeral Home, 1200 Portland Ave., St. Paul Park and also for one hour prior at the church on Sunday. Geneva “Tootie” (Stutz) Klingfuss was born December 21, 1931 in Menomonie, Wisconsin to Walter and Agnes (Price) Krumrie. She grew up in South St. Paul where she graduated from high school 1949 and took her first job as a secretary at Swift and Company. Tootie served as a cashier for 35 years as the Cottage Grove grocery store transitioned from Red Owl, Applebaums, and eventually Rainbow Foods. She was also the charitable gambling manager at American Legion in St. Paul Park for many years. She enjoyed bowling in her younger years and easily connected with others. She was an active person who loved being with people and spending time fishing off the dock. Tootie’s favorite activity was spending time with her family and held numerous “Geneva Conventions” at the cabin. She also traveled extensively throughout the world with her “Golden Girls” group. She is preceded in death by her husband Eugene Klingfuss; parents Walter and Agnes Krumrie; brother Harry Krumrie and sister Elsie Chilton. She is survived by children Patricia Aquino, Marvin Jr. (Stephanie) Stutz, Thomas (Heather) Stutz, Julie (Mark) Anderson and Janet (Todd Christensen) Stutz; 16 grandchildren; 21 great-grandchildren; many beloved nieces and nephews as well as special companion Howie Schnack.